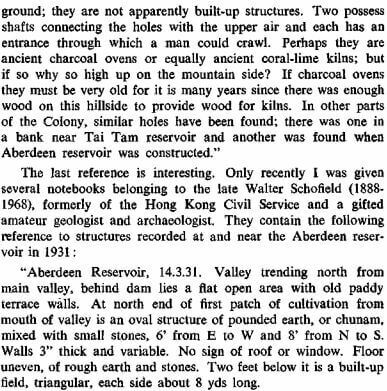 James Hayes has kindly given permission for several of his articles published by the Royal Asiatic Society (HK Branch) to be posted on our website. 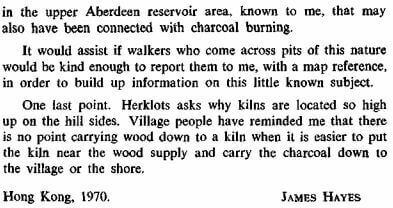 Here he writes about Charcoal Burning in Hong Kong which was included by the RASHKB in its Journal Volume 11, 1971. 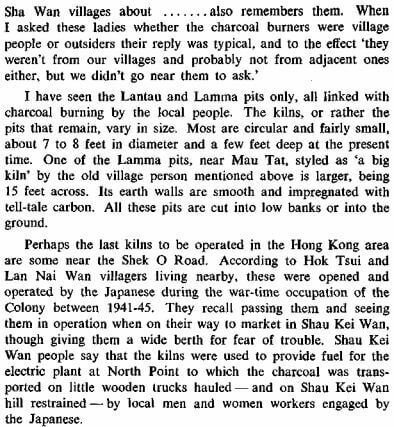 He suggests that perhaps the last kilns to be operated in Hong Kong were close to Hok Tsui and Lan Nai Wan villages near the Shek O Road. 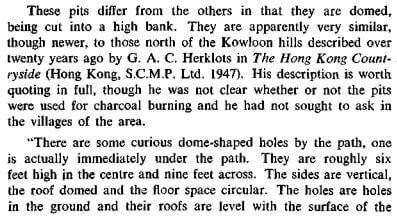 These were apparently operated by the Japanese during their occupation of Hong Kong between 1941-5. 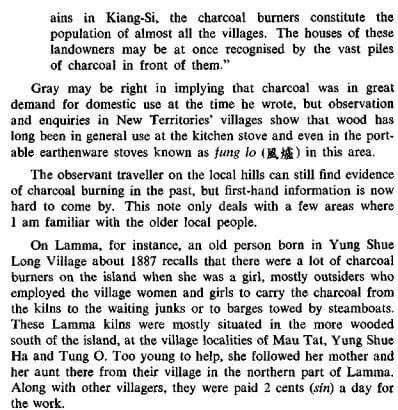 It would be interesting to learn more about the production and use of charcoal in Hong Kong. This article was first posted on 12th August 2016. 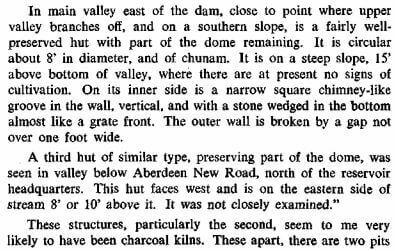 See: The Royal Asiatic Society website Anyone with an interest in the history, art, literature and culture of China and Asia, with special reference to Hong Kong, will enjoy membership of the RASHK which is generally regarded as the leading society for the study of Hong Kong and South China. 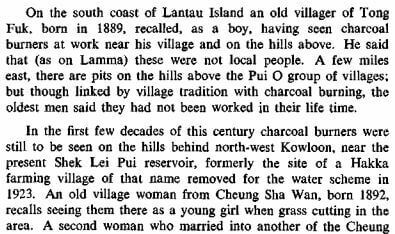 Dating back over 150 years, our Society is today a very active body, organizing varied visits, talks, seminars and more.